Whether you are looking to relax on the beach, spend a day at a spa, go biking, kayaking, whale watching or wine tasting, there is plenty to choose from near San Francisco. Check into a family-friendly resort that offers activities for all ages, escape to a quiet inn on the Mendocino Coast that caters to adults, find places to visit in the Bay Area, get pampered in a luxury suite in Monterey or Carmel, or plan an affordable vacation in Lake Tahoe. 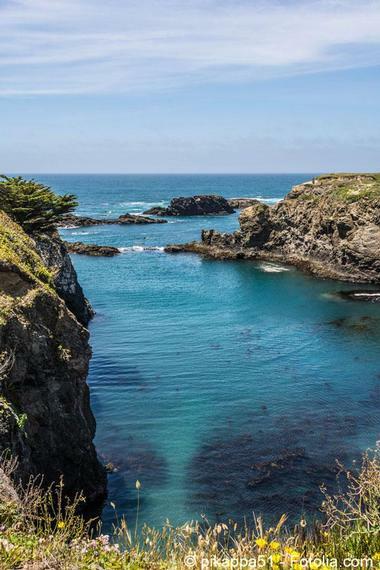 Vacationers enjoy a combination of amazing ocean views, art galleries, hiking and whale watching on the Mendocino Coast, less than three hours' drive from the city. 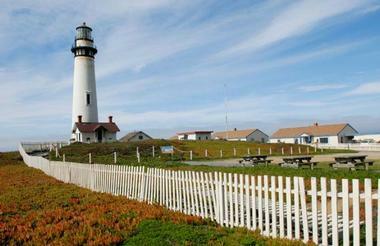 The town of Mendocino offers a selection of sandy beaches, gardens and romantic sunsets. The Brewery Gulch Inn is a great place to stay for couples, offering luxury guest rooms, scenic ocean views and a great base for exploring the Mendocino Coast. 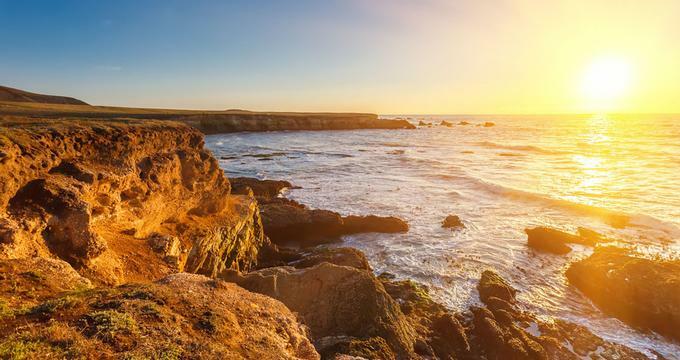 In Fort Bragg, you will find scenic beaches, redwood forests and charming boutiques. If you are looking for last minute getaways from San Francisco, Elk Cove Inn & Spa offers stunning ocean views from its 16 suites, cottages and rooms. The Oceanfront Junior Suites are the most luxurious, complete with a tub with jets and dramatic views of an offshore rock. Read more. Monterey is home to the famous Monterey Bay Aquarium, wineries, and scenic oceanview trails perfect for whale-watching. If you are looking for ideas within a two hour's drive from San Francisco, Monterey is a great choice. Old Monterey Inn is located right in the heart of Monterey, offering 10 rooms and suites with terry-lined silky bathrobes, aromatic candles, and either King or Queen featherbeds. The Garden Cottage has an in-room jacuzzi and a sitting room with a fireplace. Have breakfast in bed, in the garden or in the dining area. The breakfast menu varies daily. Homemade cookies are available in the afternoon, and wine and appetizers are served in the evening. Read more. 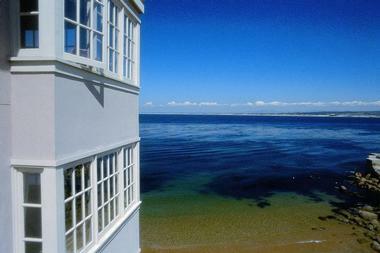 The Monterey Bay Inn is located on historic Cannery Row, near the Aquarium, Fisherman's Wharf and downtown. Activities include wine tasting tours, kayaking, shopping, fishing, golf and whale watching. The inn has 47 guest rooms and suites with scenic views and luxury amenities. There is a selection of fine restaurants nearby. Fly to the Monterey Peninsula Airport, serviced by daily flights from San Francisco, San Jose and Los Angeles. San Francisco International Airport is 120 miles north of Monterey. Room rates start at around $209. Read more. Couples will love L'Auberge Carmel, a Relais & Châteaux property, which offers elegant guest rooms and great food. Yountville is a quiet country spot where you can rest your body and mind surrounded by natural sights and sounds of geese, pheasants and coyotes in the hills. You will be surrounded by home to world-class wineries, so wine tasting is a must on this romantic getaway in Northern California. Bardessono is an eco-friendly romantic getaway where you will find organic linens, organic food and luxury suites with massage tables. The more affordable Oleander House offers guest rooms with a fireplace, private balcony and a skylight above the tub in the bathroom. Watch the sun set behind the Mayacamus Mountain range in the evening while sipping a glass of your favorite wine. 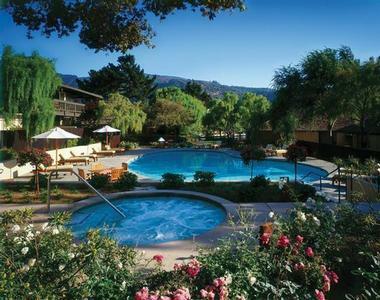 Just south of Yountville lies Senza Hotel, a quiet retreat on two acres of oaks, redwoods and fragrant gardens. The inn offers a selection of 26 rooms and suites, in-room spa treatments, complimentary wine country breakfast and evening wine and cheese reception. The picturesque Napa Valley is home to world-famous wineries, hotels and restaurants. Stay at the stylish Auberge du Soleil which offers amazing views and luxury accommodations. Get your bearings from the air by going on a morning hot air balloon ride. Most tour operators offer a Champagne breakfast after the flight which lasts about an hour. Prices start around $200 per person. If you want to be close to the shops, restaurants and attractions of Downtown Napa, check into the Blackbird Inn (from $225 per night) which offers 8 plush rooms, many with a fireplace, jetted spa tub and a private deck. Complimentary amenities include buffet breakfast, afternoon wine, tea, cookies, toiletry items and a knowledgeable concierge concierge to help you plan your trip. Milliken Creek Inn offers stylish rooms with fireplaces and outdoor patios. A visit to the inn spa is a must at this scenic inn. The spa offers services that range from relaxing massages to rejuvenating facials. 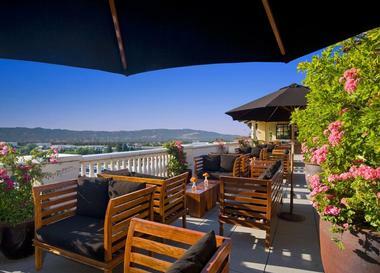 Napa River Inn (from $210 per night) is another good option in Downtown Napa. The inn is located in the Historic Napa Mill, a National Registered Landmark built in 1884. Guests get a personalized California breakfast delivered to their room each morning and the inn welcomes small size pets. Napa River Inn provides a complimentary town car available for complimentary transportation within the city of Napa. The inn concierge is expert at assisting vacationers with their Wine Country tours and exploration. Chateau du Sureau is a romantic hotel built in a converted home spanning 9,000 square feet, complete with wrought iron gates, fountains, and walking paths. The Chateau features ten rooms total, five on each floor, as well as the Villa Sureau, which is 2,000 square feet with 14-foot ceilings and a private butler. The suites feature period furniture, tapestries, 19th century art, and antiques to add to the aesthetic appeal. Guests have access to the Grand Salon with a fireplace spanning from the floor to the ceiling, the Breakfast Room, and the Music Room with frescoes. There is also a life-size chess set, bocce court, and swimming pool. The Spa du Sureau offers massages, European Kurs, signature Elderberry Footbath, and other spa services. The on-site restaurant, Erna’s Elderberry House Restaurant showcases Chef de Cuisine Jonathon Perkin’s culinary talents in the atmosphere of a European country estate with a terrace for outdoor dining. A getaway in Lake Tahoe means fresh cool mountain air, great views and a selection of hotels that range from luxury to inexpensive. Head to the Taylor Creek Visitor Center on the south shore of Lake Tahoe for a map of the most scenic trails in the area. The Stream Profile Chamber, just a quarter mile down the Rainbow Trail, gives you a 180 degree view of life above and below the water through a curved diorama. If you are vacationing with kids, book a room at the Basecamp Hotel which has playful rooms starting at just $125 per night. Both the Ritz-Carlton Lake Tahoe and Hyatt Regency Lake Tahoe offer outdoor firepits for s'mores. The Resort at Squaw Creek offers stunning mountain views from its restaurant. Cedar House Sport Hotel is another affordable option in Lake Tahoe. Click here for more ideas. Just an hour from San Francisco, Sonoma combines country relaxation with great food, many outdoor events (especially in the summer) and excellent spas. 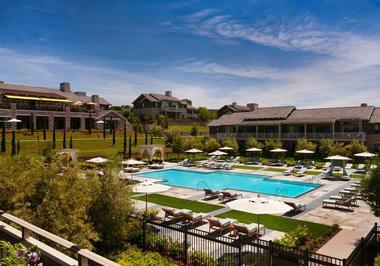 MacArthur Place is a luxury hotel with a spa and beautiful gardens in Sonoma. The hotel's gardens feature 100 species of trees, some of which were planted more than a century ago. Stroll through the orchard which has 12 different kinds of fruit trees, and view original sculptures and fountains that decorate the gardens. No trip to Sonoma would be complete without a wine tasting and tour of at least one of the local wineries. There are many wineries just a short drive away and some offer shuttle rides to and from the Plaza. 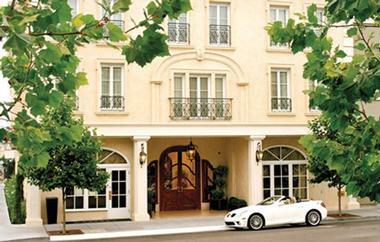 The hotel is four blocks from Sonoma's historic plaza, home to fine restaurants and shops. The Garden Spa is the perfect complement to the gardens that surround it. For guests who are on a romantic weekend getaway or anyone who wants to indulge in a relaxing massage, the Garden Spa offers rejuvenating body treatments. After a visit to the spa, couples can relax in the outdoor whirlpool tub and lounge by the pool. All of the 64 guest rooms, suites and cottages are individually designed. Saddles, an authentic steakhouse, is the main restaurant, located in a century-old barn on the estate. In season, the restaurant serves deserts from fruit grown in the hotel's gardens. Complimentary continental breakfast is served for guests every morning from 7am to 10am. There is a complimentary nightly wine and cheese reception in the library. The hotel is 45 minutes north of the Golden Gate Bridge and approximately one and a half hours from the San Francisco, Oakland, and Sacramento airports. Located on Healdsburg's historic Town Plaza, Hotel Healdsburg is home to a full service spa, pool, country gardens, and Charlie Palmer's Dry Creek Kitchen. Sign up for one of the spa packages and get pampered from head to toe during your stay. The Couples Suite has a private garden and a soaking tub for two. The historic Healdsburg Inn, built in 1901, is another great option. Downtown shops, summer concerts, galleries and restaurants are literally at your doorstep. This wine country getaway has 12 stylish accommodations close to tasting rooms, shops, restaurants, summer concerts and antique fairs. You'll love romantic gas fireplaces, king beds and bathrooms with spa bathtubs and separate showers. Rooms start at $350 per night. Surrounded by beautifully landscaped gardens to create a nature lover’s paradise, the Little River Inn is a romantic hotel on the tranquil west shore of the Pacific Ocean where the coast’s history and natural beauty meet. Perched on the ocean’s edge, the Little River Inn has graciously greeted guests for five generations. The establishment boasts beautiful Victorian architecture, charming guest rooms, and breathtaking views. Rooms feature elegant décor, romantic fireplaces, steam showers, luxurious Jacuzzi tubs, and private furnished decks. Dining is a delight at the Little River Inn, where award-winning Executive Chef Marc Dym presents a creative menu of classic American-regional cuisine with a twist. Indulge in a range of spa treatments and massages at the exclusive day spa, play a round of golf or a game of tennis, or go hiking in the pristine natural woods around the property. Accommodations range from cozy self-catering cabins that overlook the creek to the popular bedrooms in the historic hotel, and a rustic six-bedroom lodge built into the hillside. The healing waters of the springs are nestled under a Japanese-style “Fluminarium” where water feeds a variety of hot spring pools and one large outdoor swimming pool. The resort has a sauna and several wooden decks with loungers for relaxing. Tucked away in a sheltered cove in Tamales Bay (shown in the photo) on the Pacific Coast, Nick’s Cove offers tranquil coastal charm in a spectacular setting. Located close to Point Reyes National Seashore and Tomales Bay State Park, cozy accommodations, warm hospitality and an array of outdoor activities promise an unforgettable romantic getaway. Rustic charm meets stylish comfort in a range of beautiful guest rooms, each of which is elegantly furnished with modern amenities and breathtaking views. Plush down bed linens, wood-burning stoves, fireplaces and spacious en-suite bathrooms with underfloor heating will keep you snug, while private patios and balconies overlooking the water are perfect places to unwind. Enjoy award-winning cuisine at Nick's Cove Restaurant and Oyster Bar where you can dine on fresh seafood and hearty, farm-to-table California cuisine in a magnificent coastal setting. A paradise for outdoor-lovers, Tomales Bay offers a variety of fun activities. You can fish, kayak, hike or bike along the coastline or explore the secluded coves, and beautiful beaches. Cottage rates start at $349 per night. 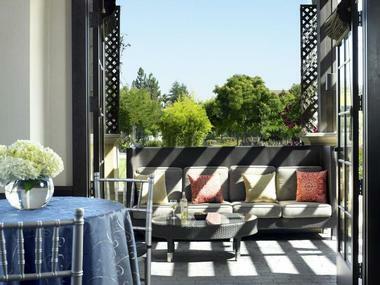 Juniper Hotel Cupertino is a boutique getaway located in the heart of Cupertino, near Silicon Valley. The hotel has an outdoor swimming pool, a 24-hour fitness room, and complimentary Internet access. All of the rooms feature high-speed Internet access via T1 lines and Wi_Fi, mini-bar, luxurious bath products and cable television. The pet-friendly package includes a dog bowl, biscuits, bottled water, chew toys, and a dog bed. Guests can dine at the comfortable Park Place restaurant which has views of the adjacent park and serves contemporary seafood and steak dishes. The hotel is conveniently located within the Cupertino City Center in the heart of Silicon Valley, and is near many businesses including Apple Computer, Hewlett Packard and Symantec. The hotel is an easy drive from San Jose International Airport or San Francisco Airport. Rates are quite cheap, starting at $89 per night. Hotel Indigo is a stylish affordable hotel with decor inspired by the art in Santa Barbara. 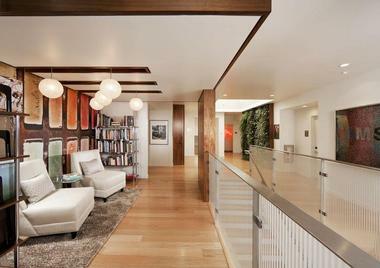 Admire diverse paintings, sculpture and murals as you walk to your room. All the art on display in the common areas as well as in the rooms is curated by the Museum of Contemporary Art Santa Barbara. The most romantic rooms have private gardens, perfect for enjoying ocean air on your weekend trip. In the morning, head to one of the local beaches for relaxing and sunbathing. If you like green hotels, the Indigo is a great choice since it offers a plant-filled living wall, green cleaning products and energy-saving features. The filtered water bottle refilling station makes it easy to stay hydrated. If you arrive without a car, you will receive $10 off your room rate. This is the closest hotel to the Amtrak train station, so it's easy to travel by train, bus or trolley. Explore Santa Barbara on foot or rent a bike. In the afternoon, visit the Art Library for a quiet read in one of the comfy chairs. Guest amenities include Free WIFI, Flat screen HD TVs and Hypo-allergenic bedding. If you are looking for inexpensive yet elegant getaways, rooms start at $205 per night. Situated in the beautiful Carmel Valley, surrounded by vineyards, Quail Lodge Resort offers its guests championship golf and stylish accommodations. There are 97 guest rooms and suites with scenic views of the valley. 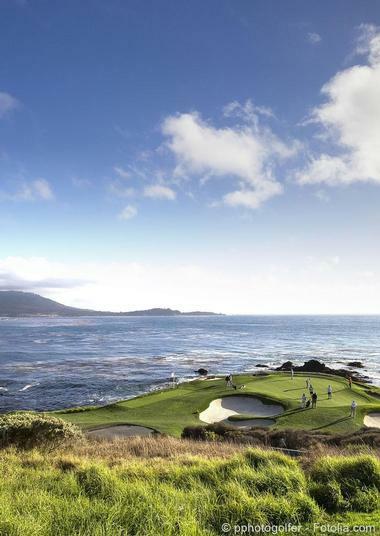 Play championship golf and soothe your sore muscles at the spa on your trip from San Francisco. The golf club offers the latest technology and professional instruction to help you improve your game. Choose from individual lessons, clinics and schools. The Welness Center has a fitness room and a variety of classes, such as yoga, meditation and aquatics in the pool. The Stress Management Meditation is a great way to relax and unwind. Rooms start at $230/night. Unique architectural design at the Brewery Gulch Inn incorporates ancient virgin redwood timbers eco-salvaged from the Big River. Whether you are interested in art galleries, historic attractions or outdoor sports, the area offers an array of vacation activities and romantic ideas. Stroll through the inn's gardens featuring groves of rhododendrons of every color, and look for a variety of birds and butterflies attracted by the plants. The inn has ten guest rooms, each with a fireplace and scenic ocean views. If you are planning a romantic getaway, ask for one of the rooms with a private redwood deck and a soaking tub for two. A daily gourmet country breakfast is included in the room rate. For lunch and dinner, visit one of the restaurants in Mendocino; ask the inn's concierge for suggestions. Room and suite rates range from $170 to $360 per night. Hotel Les Mars is a stylish hideaway in Healdsburg. The hotel has just 16 individually decorated rooms with 17th and 18th century antiques and four-poster beds. This European-style hotel is a member of the prestigious Relais & Chateaux and has Swiss-trained staff. Visit the Northern California wine country and spend a weekend tasting wine, dining out, getting spa treatments in your room and relaxing by the pool. The hotel has partnered with several wineries in the area to offer its guests special benefits, including complimentary tours and tastings. Visit the 1,477 acre Chalk Hill estate made up of 60 different small vineyards. The estate hand harvests its grapes and ferments them in small lots. Once you are done touring the wineries, have a romantic dinner at Chalkboard restaurant serving a seasonally changing menu featuring the freshest local ingredients. The restaurant has its own 3-acre garden which produces delicious vegetables for the hotel kitchen. You will be able to sample of the best local wine at Chalkboard, including ten local wine flights and wine by the glass. Couples can indulge in site-by-side massages and other treatments in the privacy of their own room or suite. The Spindrift Inn is a romantic hotel in Monterey and offers an ideal setting for a relaxing getaway from San Francisco. Enjoy the romantic rooms, stroll through town, or head to the nearby Aquarium. There are 42 European-style accommodations with traditional furnishings, hardwood floors, original art, a marble bath and a goose down feather bed, comforter and pillows. Rates include a continental breakfast delivered in the morning. There are many romantic restaurants in town open for lunch and dinner. The property is located within walking distance of the Aquarium, Fisherman's Wharf and downtown. The closest airport is the Monterey Peninsula Airport which is only six miles from the inn. There are direct flights from San Francisco (120 miles away), Denver, Los Angeles, Phoenix, and Las Vegas. Browse more trips in California. Hotel Valencia Santana Row is a Silicon Valley getaway with luxury accommodations and central location near shopping and dining. The hotel has an outdoor year-round swimming pool and a fitness center. Have dinner at Citrus restaurant serving steaks, seafood and vegetarian dishes. Stop for drinks at Vbar, an ultra hip lounge with a view. There are 215 guest rooms and 16 luxury suites featuring custom designed beds with 300-thread-count designer Egyptian cotton linens. Guest rooms were designed by Dodd Mitchell of Los Angeles, featuring custom made beds, elegant plantation shutters, a leather down-stuffed club chair with ottoman and a 16-foot ebony solid wood credenza. Some of the rooms have a balcony. Omni Rancho Las Palmas Resort & Spa is a relaxing family-friendly getaway in Palm Springs, California. There is a 425-foot Lazy River, luxurious spa and four dining venues. For the active-minded traveler, the hotel offers state-of-the-art tennis courts and 27 holes of scenic desert golf. Choose from 444 Spanish Colonial-inspired style guest rooms and 22 suites with French doors leading out on the private patio or balcony. Take advantage of Splashtopia, a new water feature encompassing almost two acres, including two 100 foot long water slides and a sandy beach. There are also water-play zones with fountains and sprinklers, a waterfall, mountains, a mountainside Jacuzzi and a large swimming pool. Rates start at $450 per night. More Things to Do in Palm Springs. The Spanish Garden Inn is steps from the historic 1782 Presidio District of downtown Santa Barbara, close to fine dining, shopping, museums, art galleries and theaters. 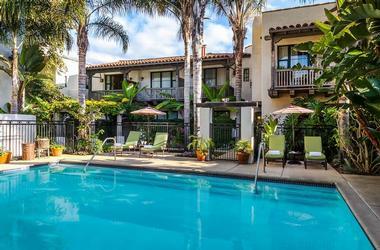 The inn features Spanish-Mediterranean inspired design, landscaped courtyards, fountains and gardens. Guests can work our in the fitness center and swim in the pool. You will receive complimentary continental breakfast and covered parking. All of the 23 guest rooms and suites have a gas fireplace, deep water soaking tubs, and either a private balcony or garden patio. 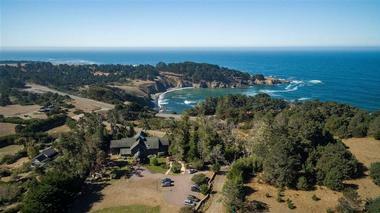 The property is 90 miles up the coast from Los Angeles and 335 miles south of San Francisco. The hotel is easily accessible via car on coastal U.S. Highway 101, by train, or by commercial jet and private aircraft at Santa Barbara Municipal Airport. This unique hotel is based in the Pigeon Point Lighthouse, a 115-foot historic lighthouse perched high on a cliff on the central California coast that has guided mariners for more than 140 years. The hostel offers home-away-from-home comforts for solo and group travelers with comfortable, affordable lodgings in four houses situated next to the lighthouse. The hostel features fully equipped kitchens, cozy lounges, and modern amenities, including free Wi-Fi and free parking. Guests can enjoy hikes along the oceanfront boardwalk around the hostel and explore secluded cove beaches and tidal pools along the coast. Free docent-led walks are offered by State Park Rangers on weekends and the Lighthouse is a popular venue for whale watching. Guests can also explore the nearby ancient redwood forests of Butano State Park, the bird sanctuary of Pescadero Marsh, and the Ano Nuevo State Reserve. Browse more California weekend getaways. San Francisco's location puts the city at the heart of some of the most incredible scenery in the United States. Within a few hour's drive, you will find incredible attractions, fantastic coastal scenery and some of the top wineries in the world. We already wrote about planning a trip to The Mendocino Coast, Monterey & Carmel, Napa, Sonoma, Lake Tahoe and other destination. Below is a list of other amazing destinations that are just a short drive or train ride from the city. An active and functioning fishing village and former center of the canning industry in the area, Monterey is today taken over by the tourists. Join the crowds and stroll through the colorful, vibrant Fisherman's Wharf with gift shops, seafood restaurants and clam bars. Explore the historic Cannery Row immortalized by John Steinbeck and let yourself get enthralled by all the wonderful underwater creatures at the Monterey Bay Aquarium. Monterey State Historic Park tells the story of California and its history with 12 well-preserved historic buildings such as the Custom House, one of the oldest structures in California. Stretch your legs or bike the Monterey Bay Coastal Recreation Trail that meanders along the coast, or rent a kayak from the Adventures by the Sea and explore the area from the water. Antique hunters should not miss the Cannery Row Antique Mall, one of the largest on the Central Coast. A visit to the Monterey Museum of Art, with the permanent collection of more than 14,000 art pieces, is a must for the art lovers. San Diego is a modern, vibrant city drenched in history. Hike to the Cabrillo National Monument above the San Diego Bay which commemorate Cabrillo’s arrival and enjoy the magnificent view of the city below and the ocean stretching to the horizon. Stroll through the Old Town San Diego State Historic Park to see some of the city’s Victorian architecture and learn about its history and heritage. Visit Seaport Village, a 100 year old beautifully restored building now filled with great shops, restaurants and galleries. Take the kids to SeaWorld to get thrilled with this oceanic park’s rides, shows and attractions. In the spectacular San Diego Zoo animals live in their natural habitats, without cages. Dine at great San Diego restaurants on your trip. Explore the shops and galleries of Sausalito while enjoying views of the Golden Gate Bridge. Check into Cavallo Point which offers several specials for couples and families. The Muir Woods is home to hundreds of acres of redwoods, some of which are 1,000 years old. Stay at the romantic Inn Above Tide. Yosemite National Park is a must-see for nature lovers, attracting couples and families alike. See the famous Yosemite Falls which are made up of three separate falls, and the 3,000-foot granite face of El Capitan. Ansel Adams Gallery displays the famous photographer's amazing photos of the park. Evergreen Lodge is a beautiful place to stay right in the park where you can unwind surrounded by trees and the songs of birds. Santa Cruz is a great destination for surfing, old carnival rides and vintage shopping. Relax and enjoy the view from Seabright State Beach. Stay at Chaminade Resort & Spa, a AAA 4-Diamond mission style resort in the Santa Cruz Mountains overlooking the Monterey Bay (chaminade.com). The resort features contemporary Spanish furnishings and is close to golf courses, the beach and downtown Santa Cruz. Visit some of the area wineries such as the Santa Cruz Mountain Vineyard which makes European-style wines or Testarossa Vineyard in downtown Los Gatos. Sample local wine paired with cheeses and other delicious eats. Half Moon Bay, 45 minutes from San Francisco, features some of the most stunning coastal scenery on the West Coast. Check into one of the ocean view rooms at The Ritz-Carlton Half Moon Bay and schedule a romantic couples treatment at the hotel spa. Stay in and order room service or explore attractions in the area, including the Santa Cruz Mountain Wineries and the Filoli Estate and Gardens. Browse more family-friendly ideas. Check into one of the elegant rooms at Cavallo Point and enjoy scenic views of the Golden Gate Bridge on your family getaway. Resort amenities include shuttle service to San Francisco and Sausalito, access for parents to Healing Arts Center & Spa and outdoor meditation pool, morning yoga class and valet parking. The lodge is offering several great packages for families. If you don't have a car, go on a one-and-a-half hour-train trip to Sacramento where you can go shopping, sample delicious cuisine at local restaurants and visit the California State Railroad Museum. Take the kids to Gunther's Quality Ice Cream and Vic's Ice Cream. The Westin Sacramento has rooms with scenic river views. The newly renovated Hyatt Regency Sacramento is a AAA Four Diamond hotel located near the California State Capitol.